After upgrading to Windows 10, your Logitech wireless keyboard does not work properly. 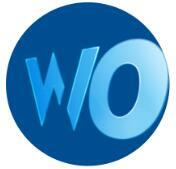 There are many things becomes inconvenient such as search something online or typing to open some websites. So fixing the Logitech wireless keyboard out of working is necessary. You must do these at first to make sure there are no physical errors. And these tests are very easy to check it can solve the wireless keyboard not working problem. The incorrect driver can cause keyboard not working. Uninstalling it will make the system reinstall a right driver correctly. Step 1: Enter device manager. 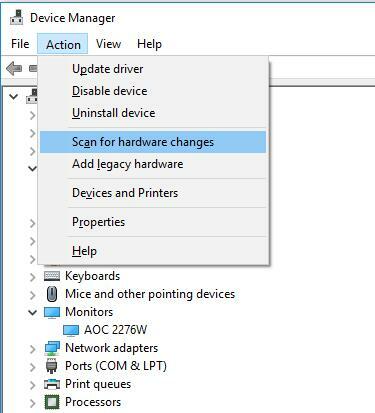 Right-click Win icon and choose the device manager option from the context menu. Step 2: Expand Keyboards category, right-click the Logitech wireless keyboard device name, and choose Uninstall option. Step 3: Click Scan for hardware changes. Also, you can restart the computer. 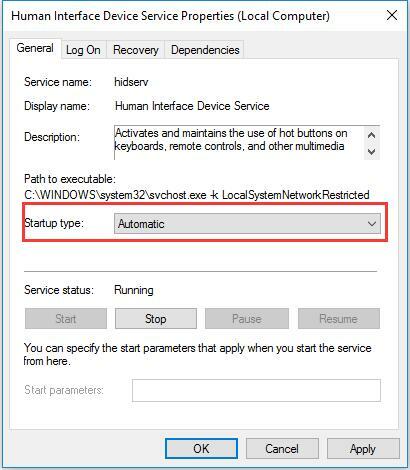 After that, Windows will automatically detect your input devices including the wireless keyboard and install the driver for it. If uninstalling the driver cannot solve the problem, try to update driver. Downloading the latest version of Logitech wireless keyboard driver and updating it can solve the keyboard not recognized issue by Windows 10. If it can make Logitech keyboard runs well, it remains that just the driver problem caused by system upgrading. There are two ways you can do to download Logitech wireless keyboard driver and update it. Step 1: Enter the Logitech Download Center. Step 2: Type Logitech wireless keyboard model name such as wireless K440r touch keyboard, wireless solar k750 keyboard, etc. Here type k750 keyboard as an example. Tips: If there is no other keyboard you can type, you can use the Microsoft built-in keyboard. Here is the solution: how to open Microsoft Built-in keyboard. Choose wireless solar keyboard K750 from Downloads tab. 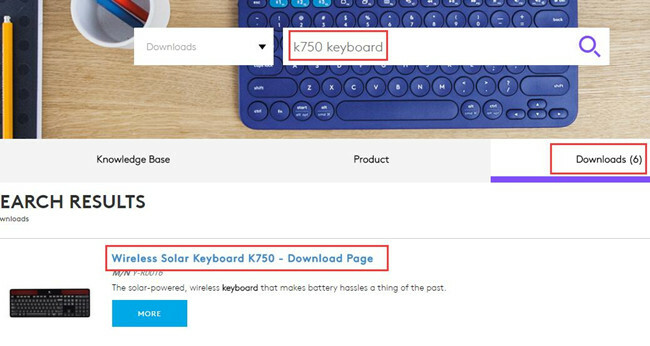 Step 3: Choose Downloads from Logitech wireless keyboard K750 page. Step 4: Choose system and type version and download it. 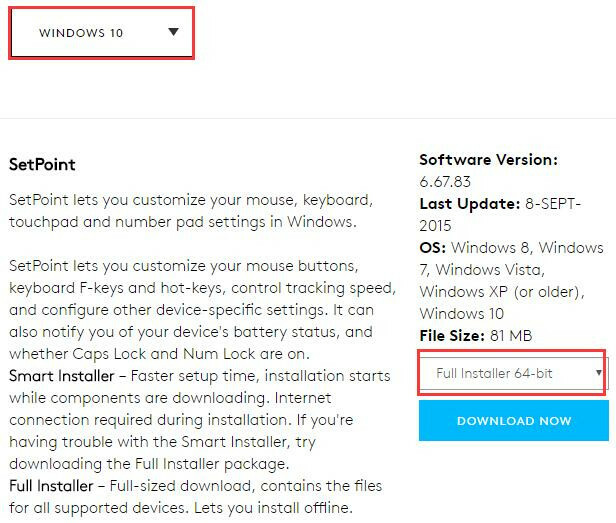 Here Logitech detects your system is Windows 10. If you want to download Windows 7, 8 Logitech wireless keyboard driver, you can select it from the drop-down list. And for system version, you can choose it from the right side. You can choose smart installer for only download the driver file or the full installer for download all files. Step 5: After the downloading finished, follow the installation guideline to install Logitech wireless K750 keyboard driver to update it. If you think this way isn’t fit you because it is too hard for you, you can use the automatic way which will solve more time and make things easier. Using the automatic way to updating Logitech wireless keyboard driver can fix Logitech K330, K750 and other keyboard not running issue easier and fast. Driver Booster is a powerful drivers update software. 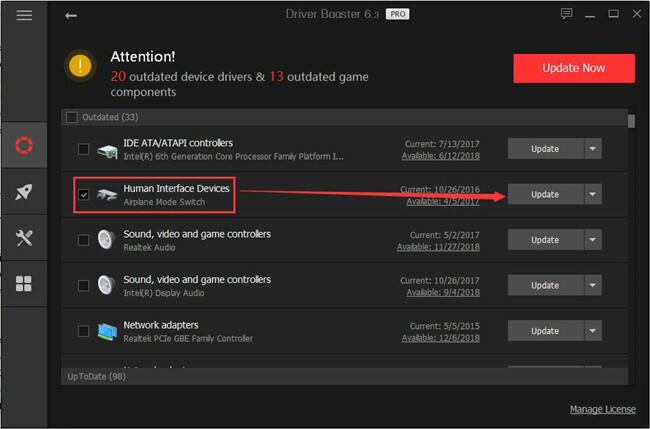 As the toptenreviews top 1 driver update software, it can detected the most outdated and missing drivers for your computer and update them automatically. Besides driver function, it supports downloading and updating game components, which are not available in other products. So it will be a good helper to fix the different driver problems. You should download it to help you find the wireless keyboard driver and download it for you. 1. Click Scan. 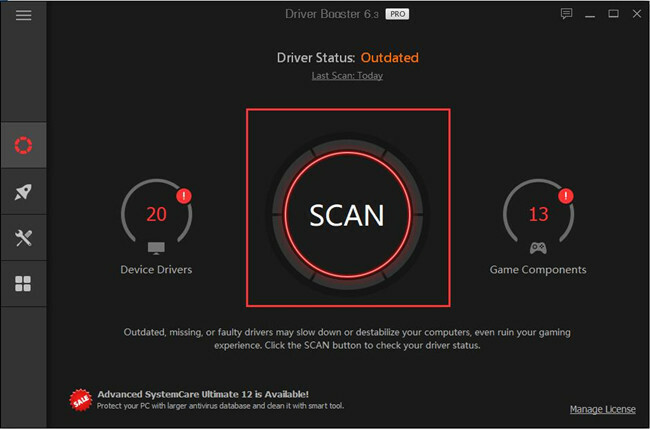 Driver Booster will scan all the missing and outdated mice and pointing devices including your Logitech keyboard drivers. 2. Click Update. Find the Keyboards option, and then find Logitech K330, K750 or other Logitech keyboard model, click Update. This software can help you scan all your devices drivers for your Windows 10 system. Especially after upgrading to Windows 10, there are many drivers need to be updated. Driver Booster can scan the computer including the wireless keyboard and provide the newest drivers for you. You can download and update it automatically. We know the keyboard, mouse and other input devices belong to the HID interface. So make sure the human interface device access service is working. If it is not running, your Logitech wireless keyboard will stop working. 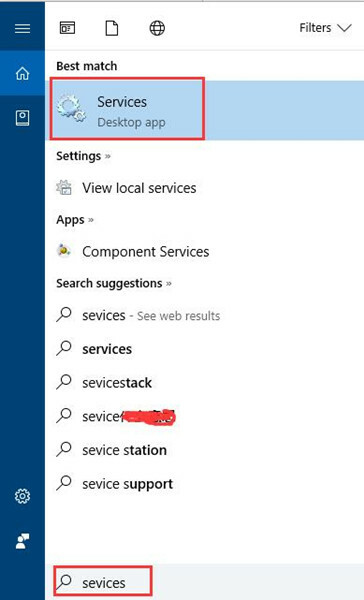 Step 1: Type services in the search box, choose services from the result to open Service window. 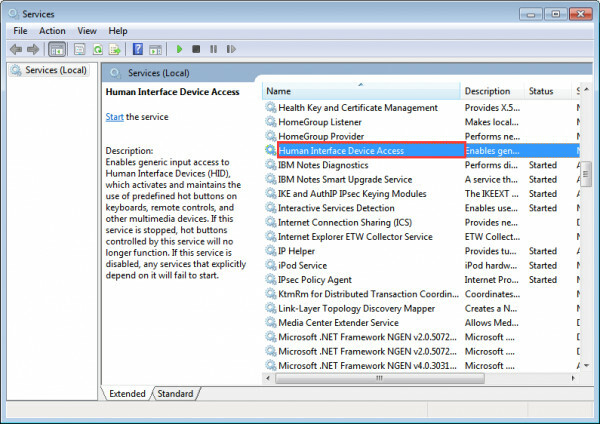 Step 2: Find the Human Interface Device Access from the local services list, right-click it and choose “Properties”. Step 3: In the General tab, select Automatic from the Startup type drop-down list. After you click Apply and OK, restart the computer to make the changes take effect. And this solution can also fix HID-Compliant mouse not working problem. In the normal condition, connect the USB receiver to PC USB port is the first choice. But some people like to use the USB HUB. So if the direct plug way is not working, and if you have a USB HUB device, connecting the USB receiver to the HUB device will be another test choice. So wish the above 4 ways can help to solve the Logitech wireless keyboard not working problem.